Whether you want an oak frame home or a conventionally constructed house, a full turnkey solution or some architectural input, we’ll help you to reduce risk, to have confidence and to enjoy what, for many of you, will be the most important project you’ll ever undertake. Complete Oak Home creates bespoke turnkey oak frame homes. We are with you throughout your project, to guide and advise you every step of the way. All our houses are one-offs designed to match the exact requirements of each client. Complete Architect offers a full range of architectural services, with a unique client led approach to design. We specialise in bespoke architecture, designing one-off houses to meet our client's exact needs. Complete Home creates bespoke turnkey houses for clients who don’t want an oak frame home. We work in the same way as Complete Oak Home, making sure we are with you throughout your project, guiding and advising you at every step. Get our FREE self-build video series! Everything you need to kick-start your turnkey bespoke home project. All of these projects are in different stages, aiming to achieve our clients dream lifetime homes. Our oak frame home gallery comprises two sections, current projects and inspiration gallery. The first contains all our current projects, so you can take a look at all the different designs we are producing at the moment. The second is our inspiration gallery which is packed full of beautiful images of oak frame homes to spark your own ideas. The Complete Oak Home offer something rather different, not oak frame manufacturers but oak frame experts who design & build oak frame homes. The one thing that has enabled us to progress is I believe finding a company that is prepared to partner with us from the very beginning and take us through planning, design/costing, tendering and build through to completion (or to any stage along the way). It's been something we've been looking at for some time but to be honest we didn't really want the hassle of having to do everything ourselves. The Complete Oak Home offers us a way of achieving our dream by undertaking those tasks for us. Having the support of The Complete Oak Home gave us the best feeling knowing that someone was watching over us, and our project, paying attention to all the tiniest and most complex details. This left us to be able to focus on the fun parts and has meant our house works perfectly for how we want to live. Would you like to receive valuable advice & tips from us, giving you crucial information to help you with your self-build project? If so, sign-up to receive our weekly email, or join our community over on Facebook where we run live expert sessions and more! If you have a plot, and would like to talk to one of our project advisors about getting planning permission, budgeting, building costs or anything else relating to building a bespoke home, schedule a call below to pick our brains! We are a multi-disciplinary team of architects, cost control experts and project co-ordinators, creating stunning bespoke oak frame homes designed for the way our clients want to live. What Is The Difference Between Timber Frame and Oak Frame Homes? Oak frame or timber frame? But isn’t oak timber anyway? Confused? Whilst the terms are largely used interchangeably by self-builders, timber frame refers to the panel systems that creates the insulated air tight envelope around the building, and won’t be seen when the house is complete e.g. SIPS. 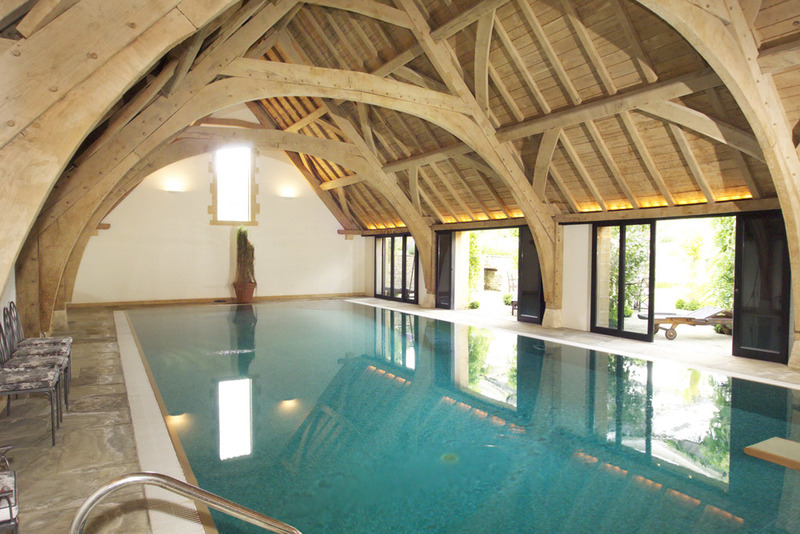 Oak frame uses large post and beams of oak to create a visible structural space frame. So what is a contract administrator and why would I need one?